First Lady and Education Minister Janet Museveni says parents should endeavor to play their role in the education journey of their children. 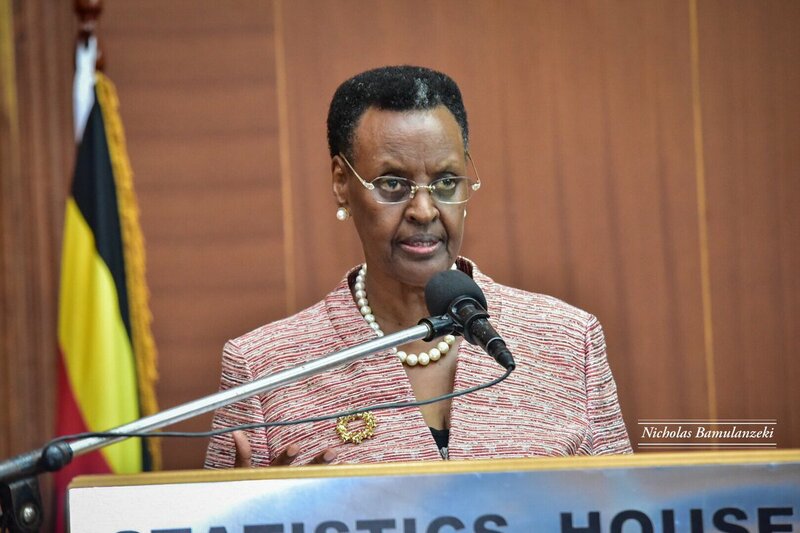 UBOS HOUSE – Education and Sports Minister Janet Museveni has Thursday afternoon released the 2018 Uganda Certificate of Examinations (UCE) results at Statistics House in Kampala. Each SMS sent to 6600 is charged Shs 500 on both Airtel and MTN networks, therefore, users must ensure that they have enough credit on their phones. UNEB says the SMS service is voluntary. The number of candidates whose results are withheld has greatly reduced from 4525 in 2017 to 1877 in UCE 2018.